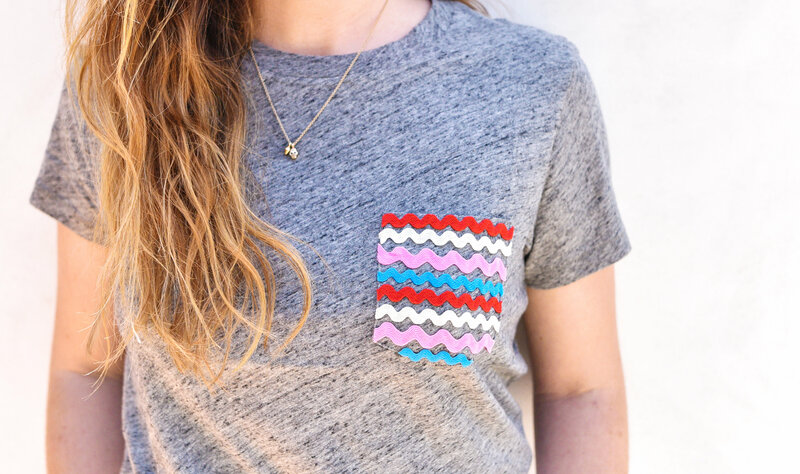 Who doesn’t love a good a good statement tee? 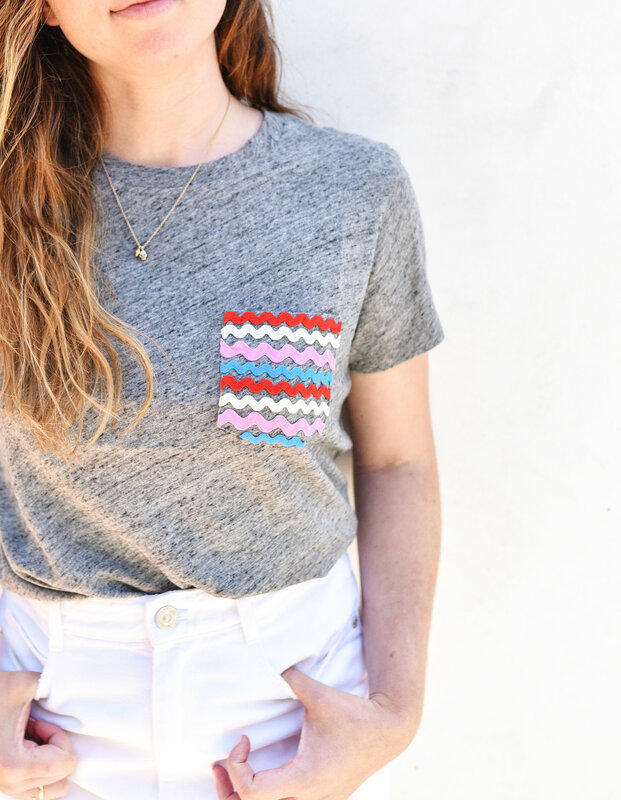 We are adding a little flare to our favorite Madewell pocket tee to keep these summer vibes going all year long! 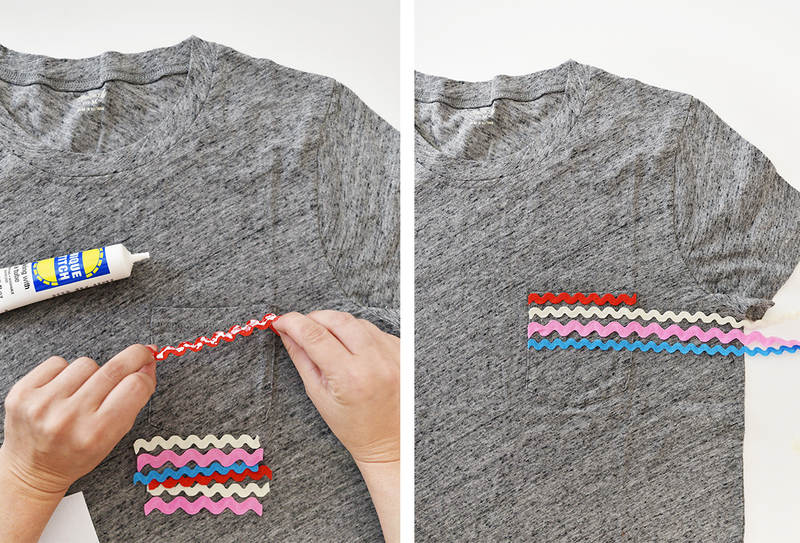 Measure and cut your trim the width of the pocket. 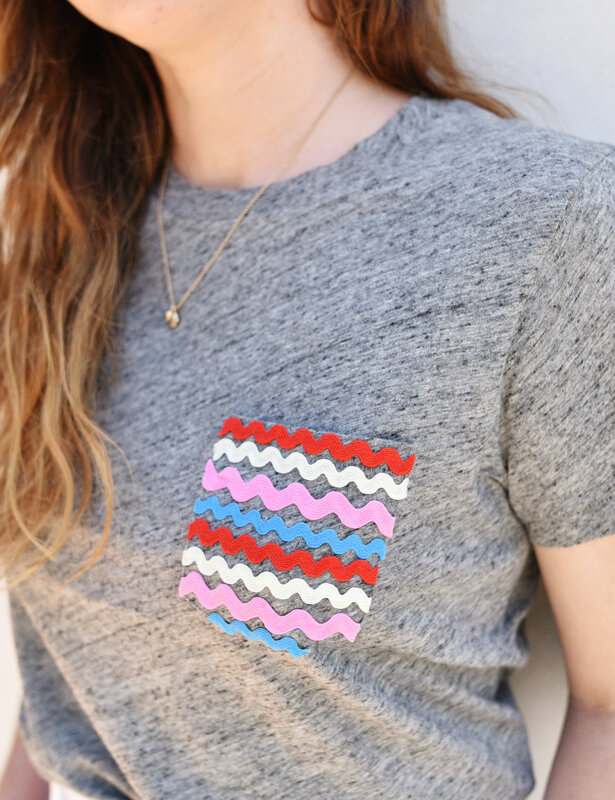 Repeat this with each color until you reach the bottom ‘V’ of the pocket. The final piece of trim will be a bit shorter than the rest. 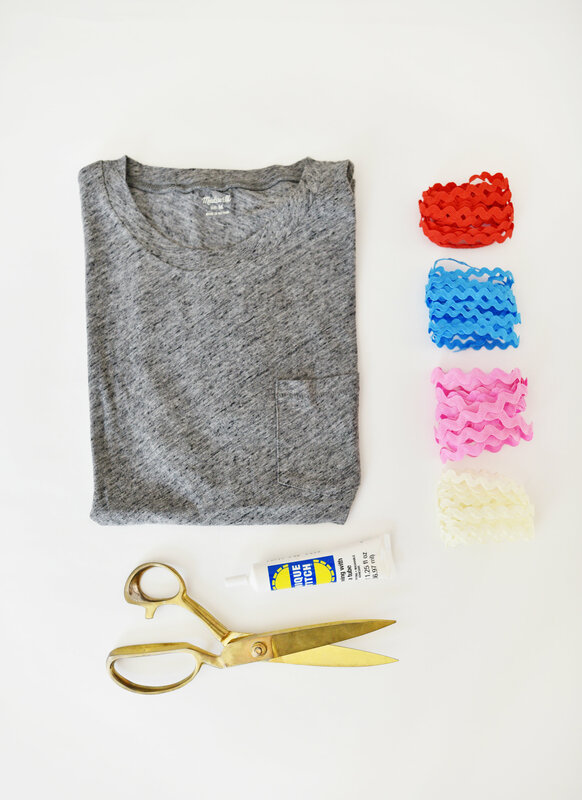 Make sure your Ric Rac is in the order you like before gluing down. 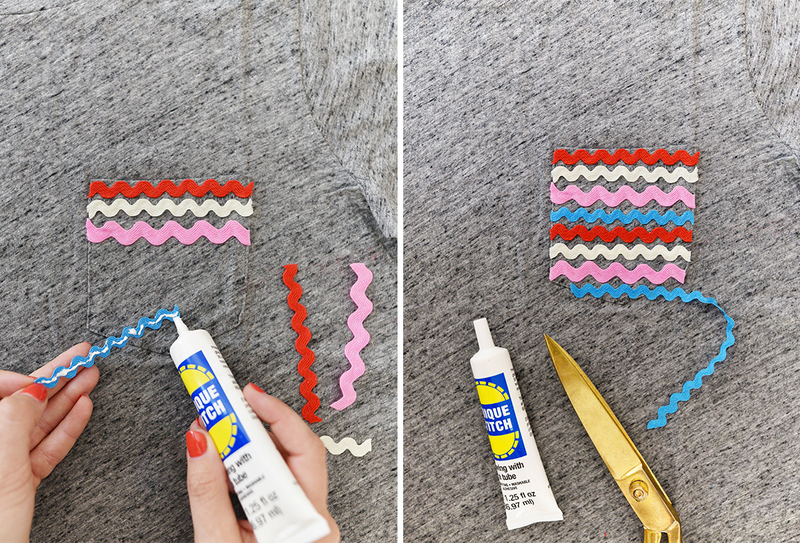 Place glue on the back. 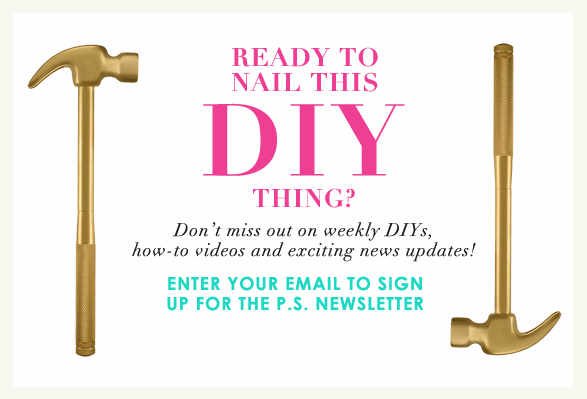 *Tip: place a piece of cardboard in between the fabric in case the glue soaks through. Press down and hold for a few seconds. 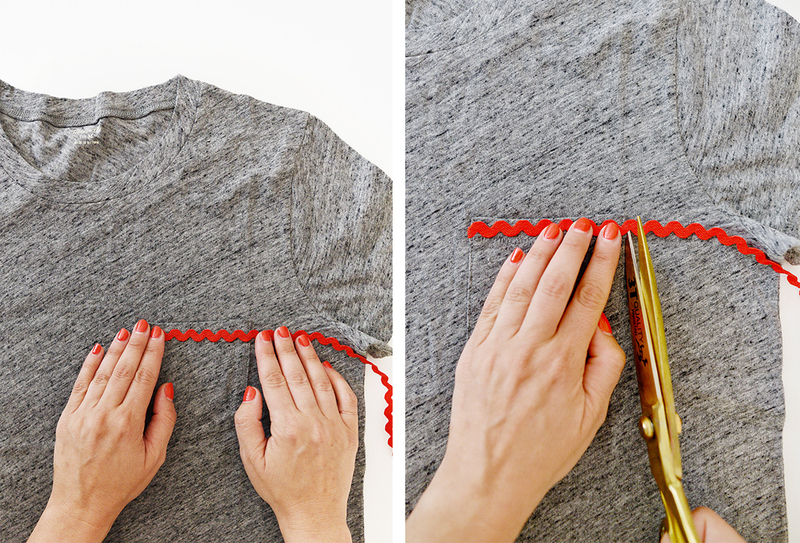 Let your t-shirt dry completely before wearing. 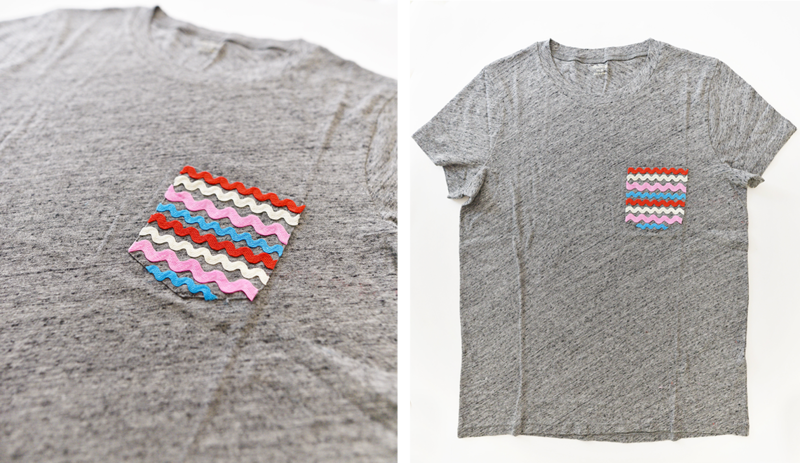 You can machine wash, but we recommend drying flat.